Voting and an Adequate Education are fundamental rights. And while it’s each of our responsibility to make our voices heard, it is our government’s responsibility to ensure we can exercise these fundamental privileges. In 2008 Maryland voters approved slot machine gambling with the understanding that half the additional revenues would be used exclusively for education. Yet during the Great Recession, casino revenues replaced public education funding rather than supplement them as intended. 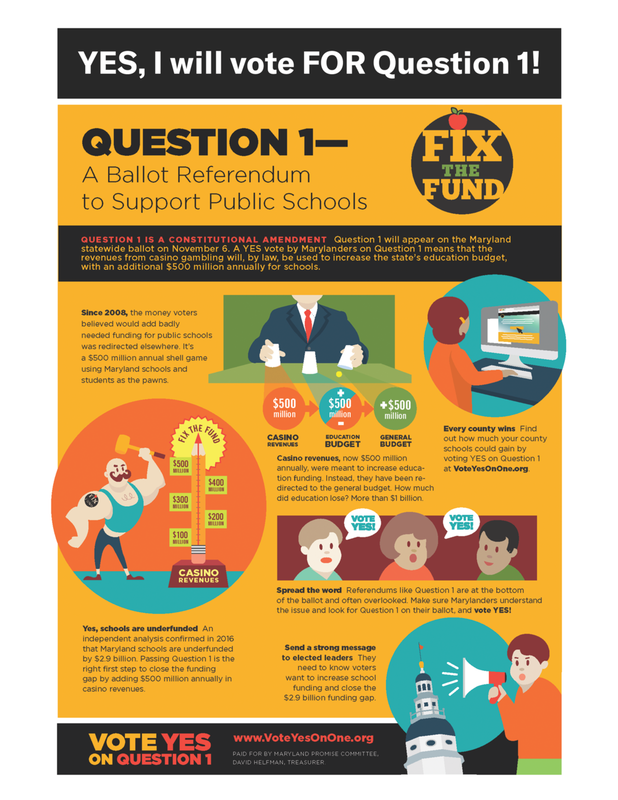 In the general election, voters will vote on a Constitutional Amendment to permanently close the Education Trust Fund loophole. It will ensure that casino revenues increase public education spending rather than only keep formulas level. 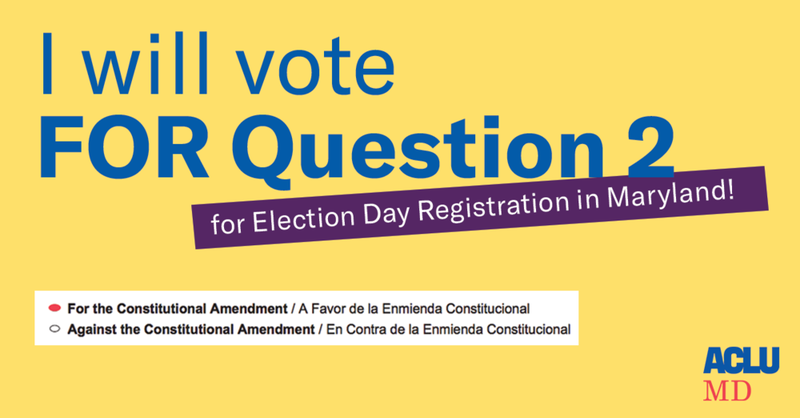 In the General Election, Maryland voters will vote on a constitutional amendment ballot question that will allow eligible individuals to register to vote at the same time and at the same place as they cast their ballot on election day. Nearly 20,000 Marylanders used Same-Day Registration during the early voting period to register to vote for the first time or update their registration in 2016. We will provide more information closer to the general election.